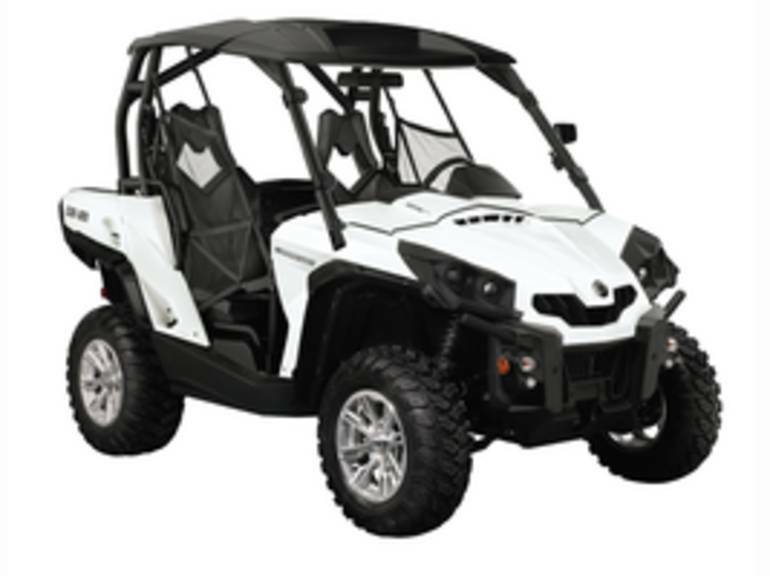 2014 Can-Am Commander E LSV, 2014 Can-Am® Commander E LSV We created the Commander E LSV (Low Speed Vehicle) for comfort, safety, and convenience. It runs without gas, produces no emissions, and is ultra-quiet and exhaust-free. Tour the neighborhood, do your shopping, or go explore nature. It s up to you. STANDARD FEATURES MAY INCLUDE: INDUSTRY-LEADING PERFORMANCE This vehicle doesn t use gas and produces no emissions, making it the perfect for touring the neighborhood, shopping, or exploring nature, all powered by a 48-Volt air cooled eclectic motor. PRECISION-ENGINEERED HANDLING An on-demand lockable rear differential provides better handling on the road, and is also turf ready. But when conditions call for it, the differential can be locked for maximum traction. RIDER-FOCUSED DESIGN Tilt steering and the driver s seat easily adjust to fit a range of drivers and driving styles. The multi-function gauge includes speedometer, current, instantaneous power consumption, and odometer. EXCLUSIVE AND VERSATILE The industry s most versatile and usable cargo box design has a 600-lb cargo capacity, dual storage levels, anti-rust box, and tilt-assist dumping. Cargo box with two levels separated by a removable, water-resistant panel, that offers an upper and lower bed with their independent tailgate. BETTER STEERING FEEL The Can-Am Commander's Double A-arm front suspension is designed with dive-control geometry that works to eliminate diving under heavy breaking and rough terrain. The front end features 10-in of travel and five-way preload-adjustable motion-control shocks. ELIMINATES SCRUB AND CAMBER CHANGES The only independent rear suspension that eliminates scrub and camber changes, meaning the wheels pivot up and down rather than in a butterfly motion. This ensures the vehicle moves only in the direction you point it. Reconfigured for improved traction and optimal transfer of power to the ground. All Can-Am pictures are kind of Can-Am HD motorcycles picture was taken, including motor fuel gauge, engine, engine mounts, tires, fuel tank, the car handles, lights and so on, 2014 Can-Am Commander E LSV UTV/Utility full-screen viewing,2014 Can-Am Motorcycles today Price: $15,965.